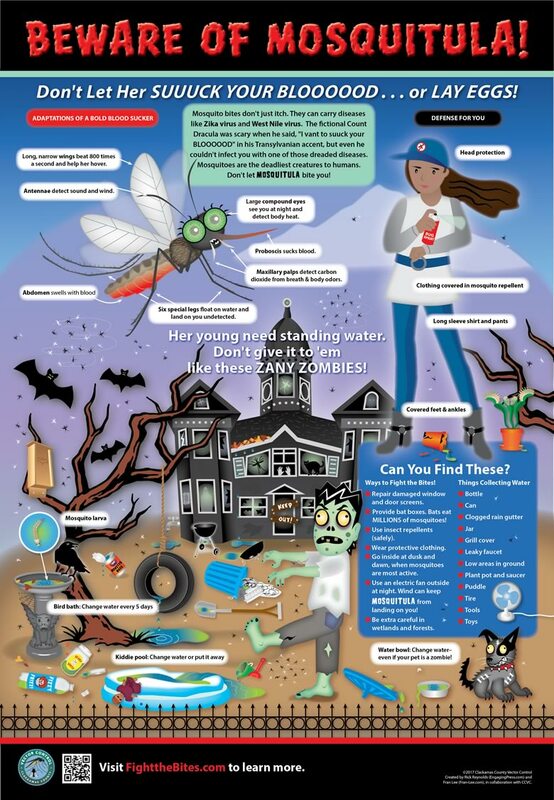 Rick Reynolds created this educational poster in collaboration with Clackamas County Vector Control and Fran Lee to help engage students in learning about mosquitoes and how to keep themselves and their families safe from vector-borne diseases like Zika virus and West Nile virus. Learn more about the program and download the lessons free here. We are also offering free training opportunities for Clackamas County educators, so let us know if you would like to learn more about them!